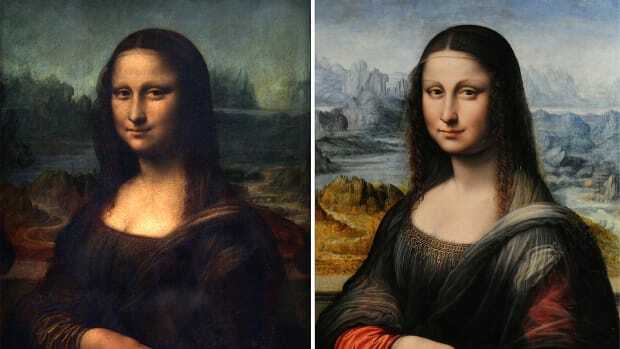 From a Russian national treasure looted by the Nazis to a da Vinci painting that no one has ever seen, find out more about eight of art history’s missing masterworks. One of the Seven Wonders of the Ancient World, this massive bronze statue of the sun god Helios towered over the Greek city of Rhodes for most of the 3rd century B.C. The behemoth stood 110 feet tall, and reportedly took the sculptor Chares of Lindos a full 12 years to complete. But while the Colossus surely proved an incredible sight for visitors to the city’s bustling harbor, it stood for only 56 years before toppling in a 226 B.C. earthquake. The once mighty statue then lay in ruins for another several centuries before Arab merchants sold off its remains for scrap. 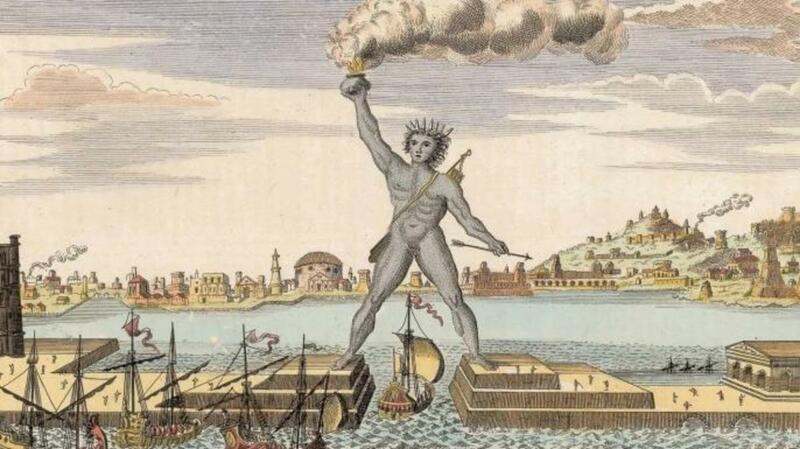 No drawings of the Colossus of Rhodes survive today, but ancient sources note that Helios was depicted standing with a torch held in his outstretched hand. These descriptions later served as an inspiration for Frederic Bartholdi’s design of the Statue of Liberty. 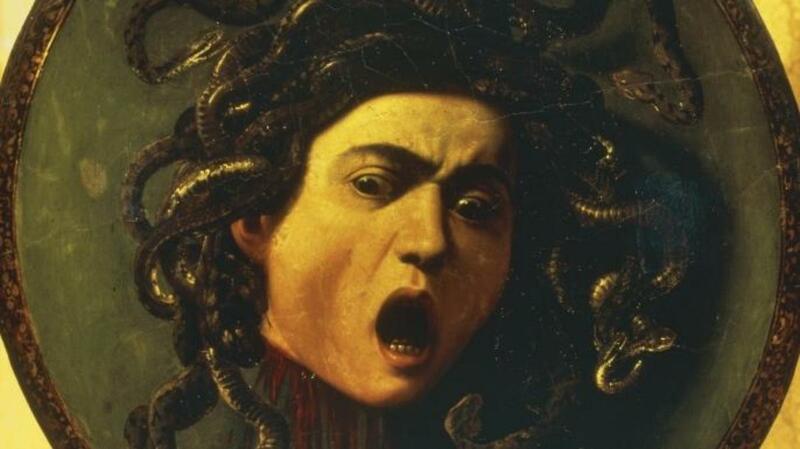 Several of Leonardo da Vinci’s works have been lost to time, but the “Medusa Shield” is perhaps the most mysterious. Painted when the Italian master was in his youth, this early work supposedly took the form of a shield emblazoned with a creature inspired by the snake-haired Greek monster Medusa. According to a 1550 account by art historian Giorgio Vasari, the painting was so realistic that it initially frightened Leonardo’s father, who considered it a macabre masterpiece and secretly sold it to a group of Florentine merchants. The shield has long since vanished, and some modern experts now argue that Vasari’s account may have been little more than a myth. 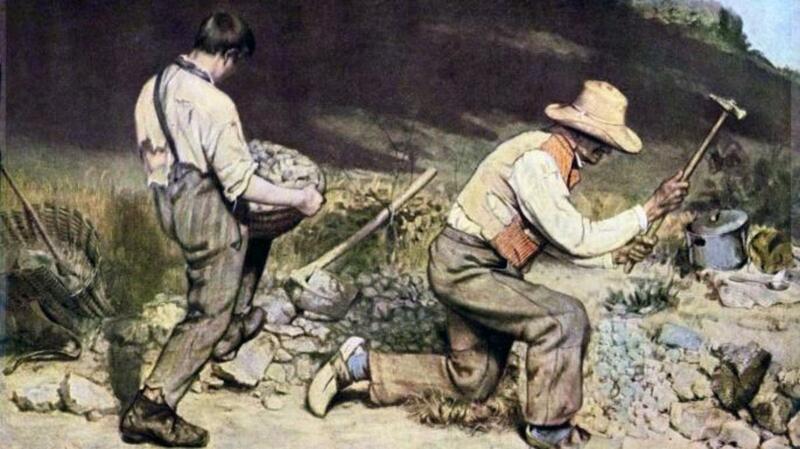 Painted in 1849, this classic example of social realism was hailed for its unsentimental depiction of poor laborers, one young and one old, removing rocks from a roadside. Inspired by a chance meeting with two downtrodden workers, Courbet deliberately broke with convention by capturing the men in gritty detail, from their straining muscles to their tattered and dirty clothing. While it helped launch Courbet’s art career, “The Stone Breakers” was ultimately doomed to become one of the many cultural casualties of World War II. 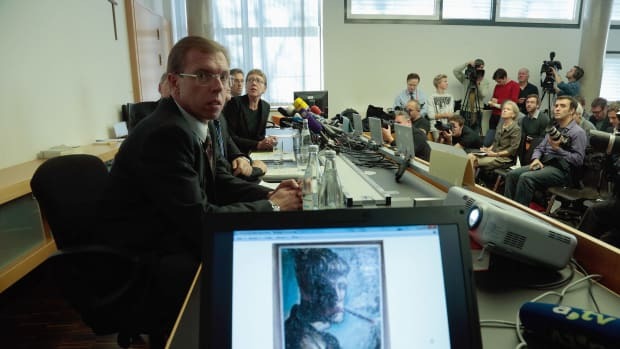 In 1945, the painting was destroyed during an Allied bombing near the city of Dresden, Germany. Diego Rivera painted many populist murals and frescoes, but his most famous work might be the one that no longer exists. In 1932, the artist was commissioned by John D. Rockefeller to create a mural for the walls of New York’s Rockefeller Center. 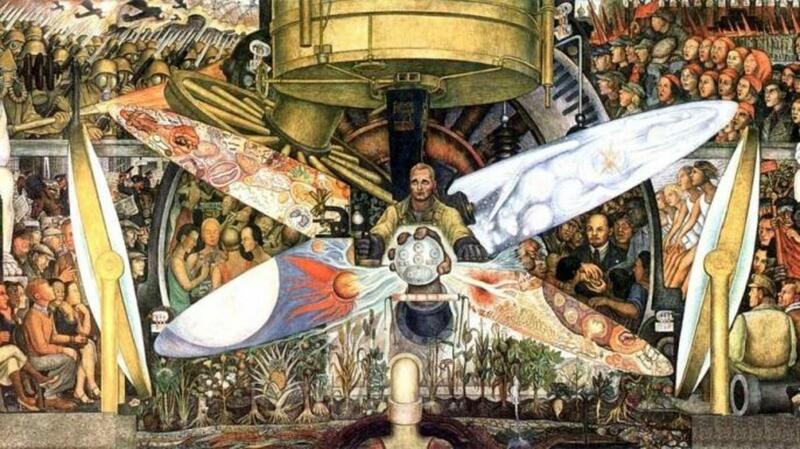 Given the theme of “Man at the Crossroads Looking with Hope and High Vision to the Choosing of a New and Better Future,” Rivera responded with a revolutionary work that referenced scientific progress, civil rights and the plight of the working class. An ardent leftist, he also included a depiction of the communist leader Vladimir Lenin—a move that offended the sensibilities of his wealthy patrons. When Rivera refused to remove Lenin from his mural, the Rockefellers had the work covered over with canvas frames and then later destroyed. Rivera would go on to paint another version of his Rockefeller mural—this time titled “Man, Controller of the Universe”—in Mexico City. In 1954, members of the British Parliament commissioned a portrait by the artist Graham Sutherland and presented it to Winston Churchill as an 80th birthday gift. 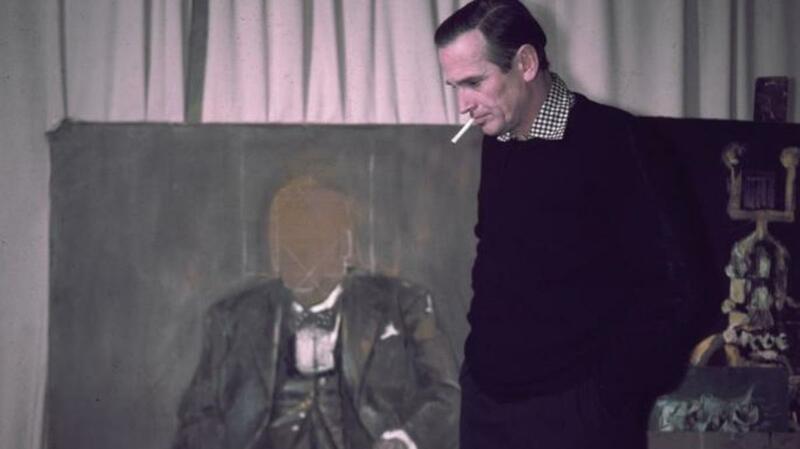 While he claimed to be honored by the gesture, Churchill was no fan of Sutherland’s realist rendering, which he thought captured him in an unflattering pose. 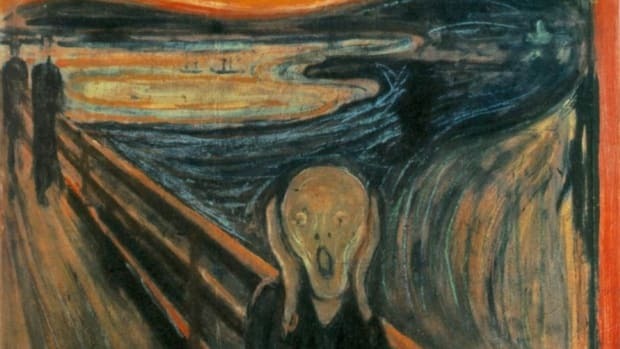 In fact, the prime minister so loathed the portrait that he considered not attending the presentation ceremony, and even wrote Sutherland a letter personally expressing his disappointment. Churchill and his wife went on to decline all requests to publicly exhibit the painting, and the work effectively disappeared from public view for several years. Upon her death in 1977, it was finally revealed that Lady Churchill had personally smashed and burned the hated portrait less than a year after its presentation. Built sometime in the 6th century, this legendary pair of stone Buddhas stood for 1,500 years before falling victim to a cultural purge by the Taliban. The 135 and 175-foot-tall carvings were originally fashioned directly out of a sandstone cliff, and served as Bamiyan’s most spectacular monument during a time when the city flourished as a Silk Road trading hub. 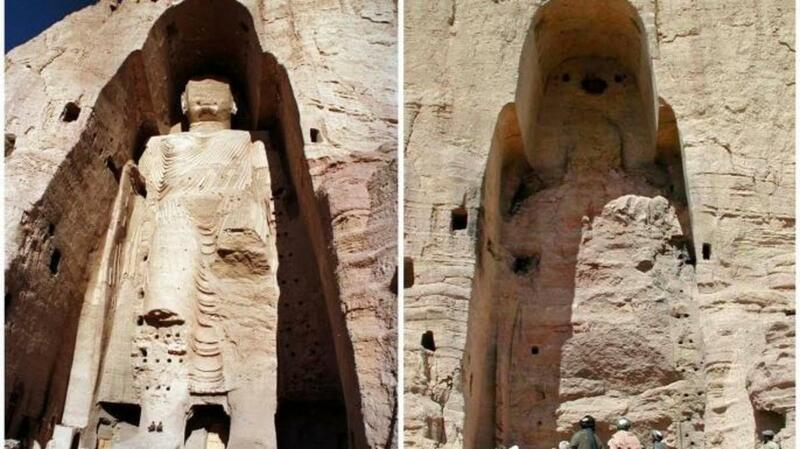 While they weathered more than a dozen centuries, several attacks by Muslim emperors and even an invasion by Genghis Kahn, the Buddhas were finally destroyed in March 2001, when the Taliban and their allies in Al Qaeda gave an order condemning idolatrous imagery. Ignoring widespread appeals from the international community, the groups then fired on the statues with antiaircraft guns before blowing them to rubble with dynamite. While the destruction of the Buddhas was condemned as a crime against culture, a number of formerly hidden cave drawings and texts have been discover among the debris, and in 2008 archeologists unearthed a third, previously undiscovered Buddha statue near the ruins. 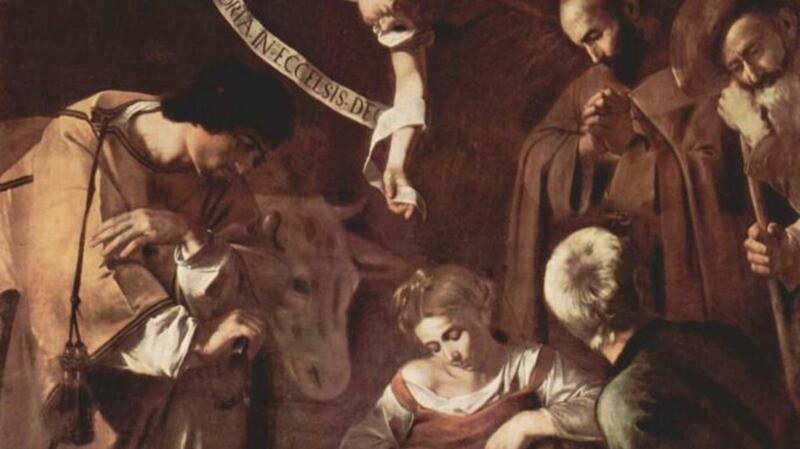 Ever since its theft in a 1969 robbery, Caravaggio’s nativity scene has been regarded as one of the art world’s most notorious stolen paintings. 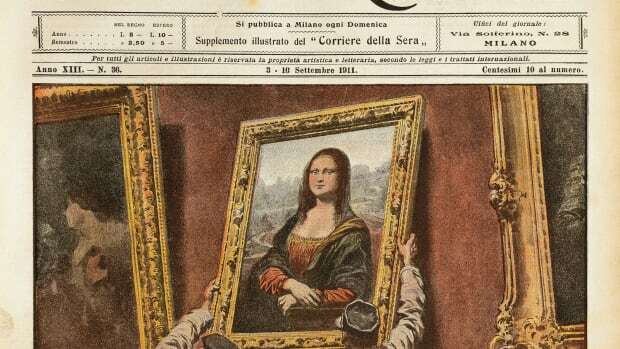 The masterwork has not been seen since it was lifted from a chapel in Palermo, Italy, though evidence indicates the Sicilian Mafia may have played a role in the heist. 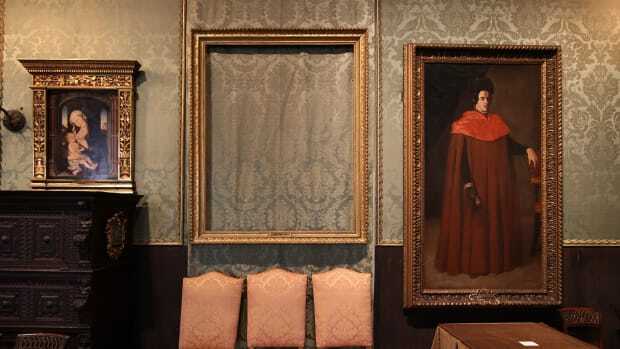 In 1996, a mob informant testified that he and several other men had stolen the painting for a private buyer, only to accidentally destroy it while cutting the canvas from its frame. 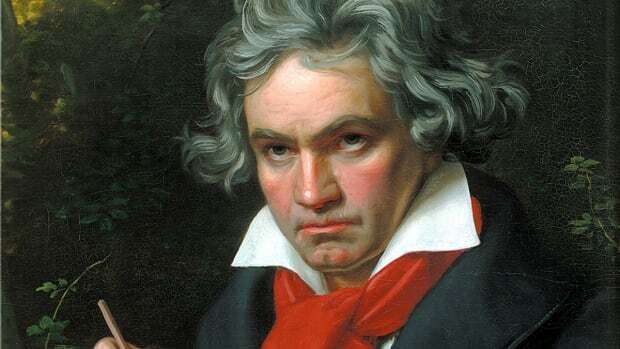 More than a decade later, another former mafioso claimed the painting had been hidden in a barn for safekeeping, but was irreparably damaged by rats and hogs before being burned. The fate of the nativity ultimately remains a mystery, but if it still exists, the painting would now be worth as much as $20 million. Created by sculptor Andreas Schlüter and master amber craftsman Gottfried Wolfram, this breathtaking chamber took the form of 180 square feet of shimmering amber panels decorated with gold leaf and mosaics of precious stones. The room was first constructed in 1701, and was later gifted to Peter the Great to help cement an alliance between Prussia and Russia. Often called the “Eighth Wonder of the World,” the ornate chamber was considered a masterpiece of Baroque art and was worth over $140 million in today’s dollars. 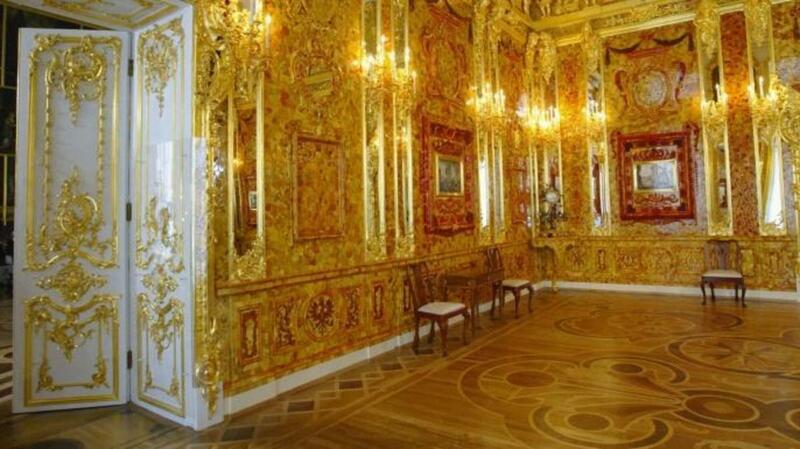 The Amber Room spent 225 years as a Russian national treasure before being captured by the Germans in their invasion of Russia during World War II. The Nazis then disassembled the chamber and took it to Königsberg, Germany, where it disappeared near the end of the war. Most historians believe it was destroyed in a 1944 Allied bombing run, but there is also evidence suggesting the room was packed up and removed from the city. From there, some theories suggest, it might have been loaded onto a ship that sunk in the Baltic Sea or simply secreted away in a vault or bunker. The original room has never been found, but a replica of the chamber was later built and installed at a museum near St. Petersburg.